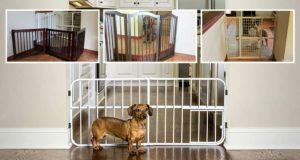 Pee pads and piddle mats are commonly used to housetrain dogs and puppies. Although they work well to train your dog to go in a specific area, they are also messy and unhygienic. Pee pads don't always absorb all the urine and your dog may end up stepping in it and tracking it around the house. Some dogs will also chew the pads and drag them around the home. Yuck! The Piddle Place is a good alternative to these mats and pads. The artificial turf sits up on a reservoir, so it is too heavy to be carried around by your pet. Also, as you can see in this video, the turf sits up off the reservoir allowing all the urine to run through the turf and down the drain. Since the urine is contained in reservoir, that means no wet paws being tracked through the house, no wet floors, and no leaking. The Piddle Place also comes with a convenient lid that makes it an ideal product to take while traveling with your dog.